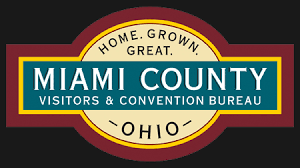 Piqua Plaza in stunning detail. The ornament was made by the Hestia company and is handmade in the USA. The brand new Fort Piqua Plaza ornament is a custom designed ornament and amazingly and each piece is hand-painted by a Hestia artist. The ornaments are $25 each and come in a custom box with a clear lid. For an additional $3 you can buy a small ceramic stand so that the piece can be enjoyed all year round. 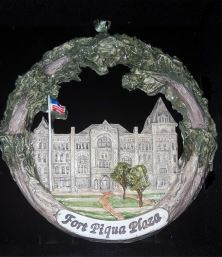 The new Fort Piqua Plaza ornament is available at Readmore’s Hallmark, Apple Tree Gallery and the Mainstreet Piqua office. 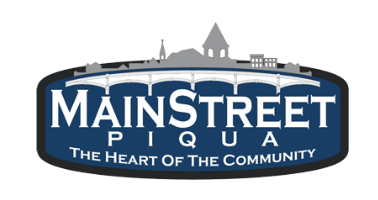 For more information call Mainstreet Piqua at 773-9355.